Many people still think of Las Vegas as Sin City and the type of destination where anything goes, but you'll now find loads of activities designed just for kids and attractions that are perfect for the whole family. Shell Vacations Club at Desert Rose lets you enjoy all the excitement of the city and all those family-friendly attractions on your next trip. 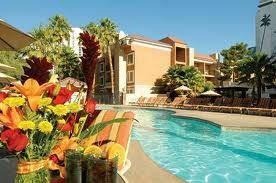 Though the resort is less than two blocks from The Strip, you may find that you love the resort activities and amenities so much that you never step foot on The Strip. 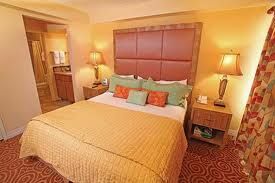 When you buy a Shell Desert Rose timeshare, you can choose a one-bedroom suite for your smaller family or a two-bedroom suite for a larger group. The only difference is that a two bedroom suite has room for six guests and the one bedroom suite can sleep four. All suites come with a kitchen that has its own refrigerator, microwave, stove, oven and coffee maker. You'll also love the balcony or patio that comes with your suites, the larger closets and central heat and air conditioning. The Shell Vacations Club at Desert Rose offers amenities for all types of travelers. Meeting spaces are perfect for business meetings and family reunions, and smaller groups may want to relax around the lobby fireplace. 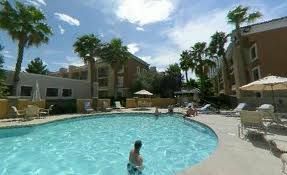 You also have access to concierge services, barbecue grills, a fitness center, hot tub and heated indoor swimming pool. Just a short walk from the resort is all the action and excitement of The Strip, including casinos, nightclubs and restaurants. 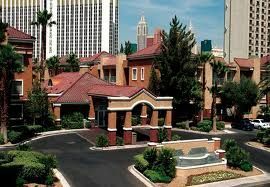 Buy a Shell Desert Rose timeshare to feel like a high roller when traveling to Las Vegas with family or friends. Contact Shell Vacations Club at Desert Rose Specialist Today!